Gibson : Gibson A1 mandolin app. 1916 (used) Sold. Producten > Mandolinshop > Mandolins > Gibson > Gibson A1 mandolin app. 1916 (used) Sold. 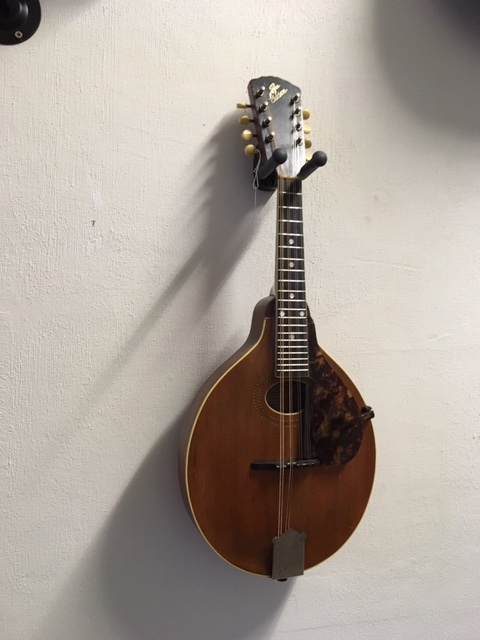 Gibson mandolin A1, used, app. 1916. Gibson oval hole mandolin, amber coloured top. Fine playing instrument. Decent condition, original pickguard, tailpiece, tuners and bridge. Hardcase. Sold.